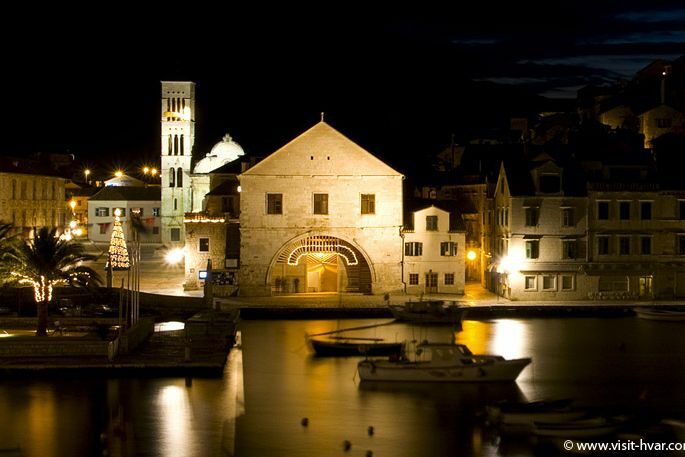 Once you are on Hvar's square you will certainly wish to visit Hvar's theatre that holds an unavoidable place in the general history of theatre. 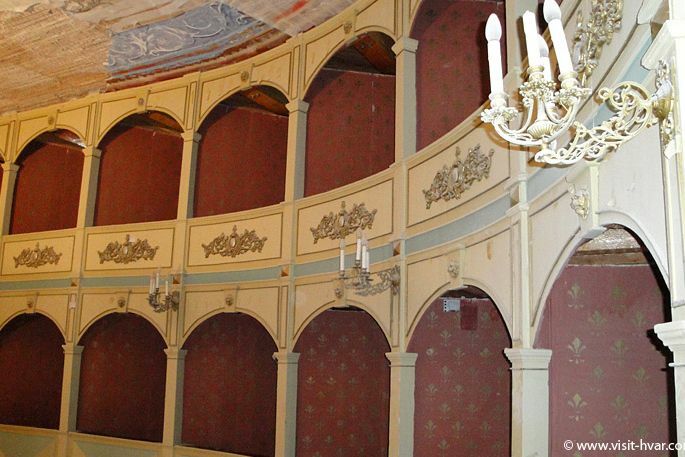 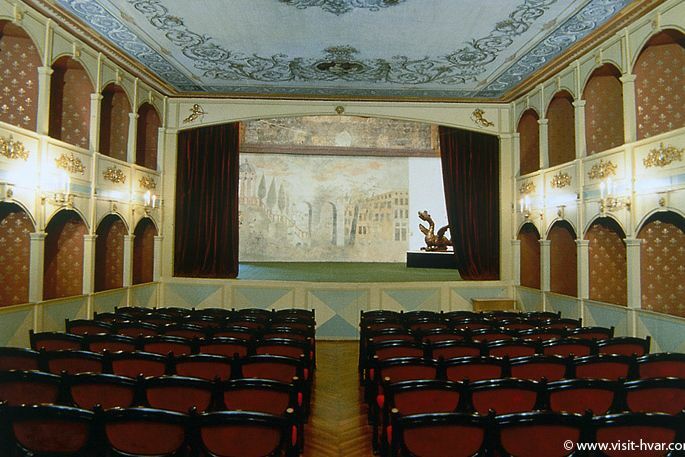 Its foundation in 1612 made it become the first civic theatre in Europe. 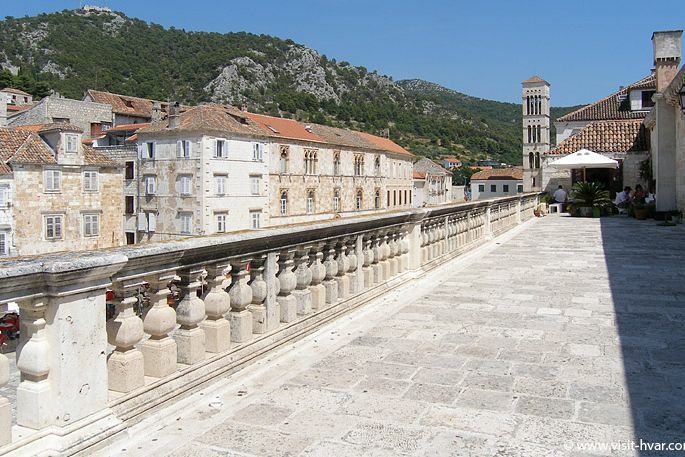 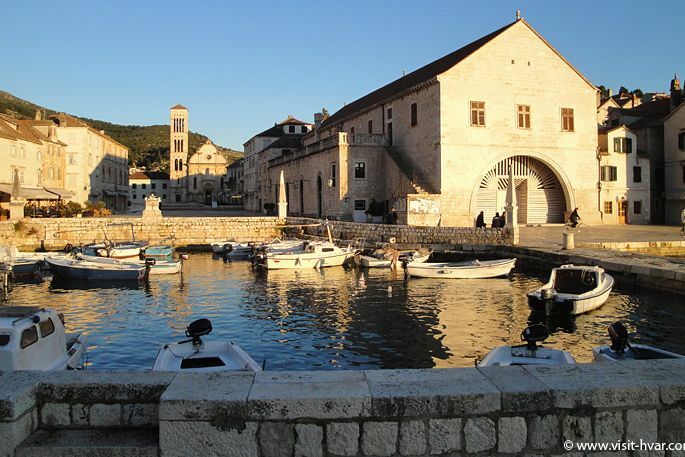 The theatre was erected above the Arsenal, the most recognisable outline of the city of Hvar, a place that was used for the repair of galleys and served as a warehouse for nautical accessories. 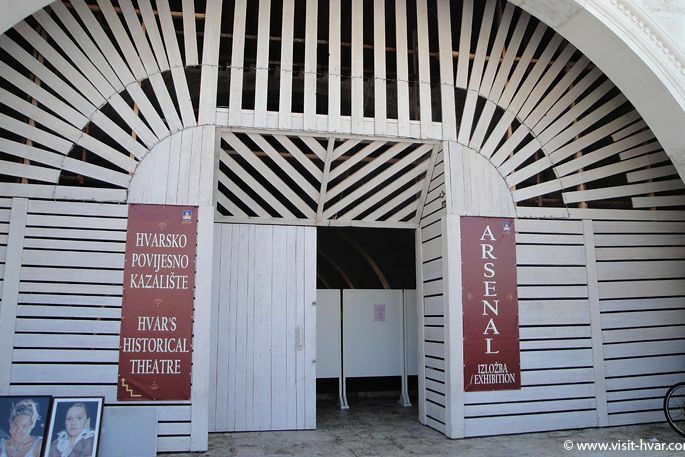 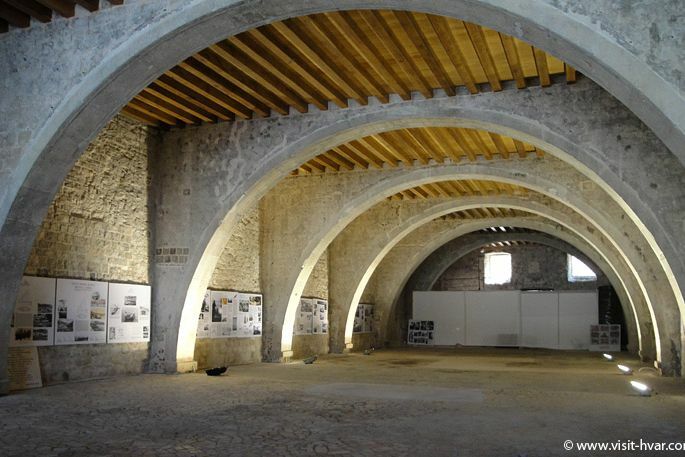 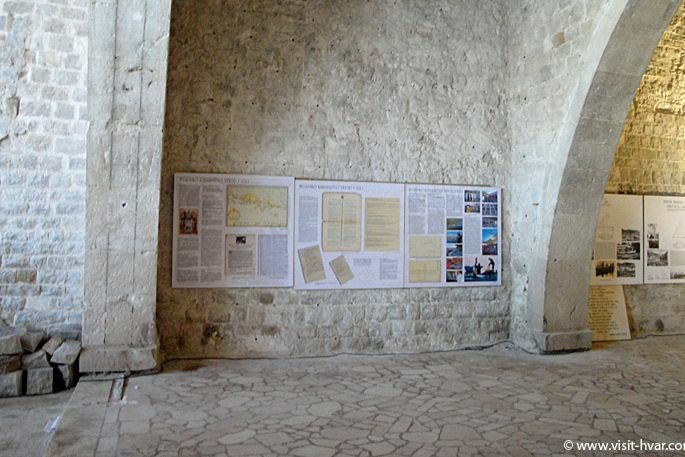 Today Hvar's theatre is open for public use. 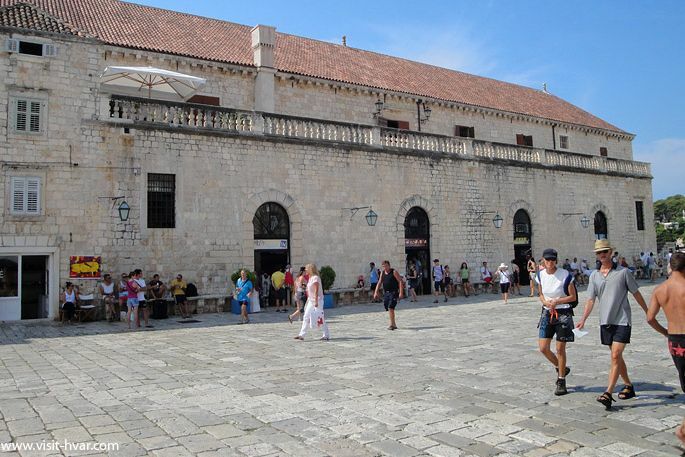 In the same venue there is also the Gallery of Contemporary Art that is open to visitors during the tourist season from 9 a.m. to 1 p.m. and from 5 p.m. to 11 p.m. During the low season you can phone number 021741009, but its working hours are usually from 9 a.m. to 1 p.m.